We are very happy to be part of the new Bike Walk Action Coalition--a coalition of bicycle, pedestrian and trails groups from across the U.S. who are banding together to support advocacy in support of our issues in Washington, DC. Caron Whitaker, who has long lobbied for the League of American Bicyclists in support of bicycling, walking, and trails in DC, is leading the coalition. Caron has recorded an excellent webinar with information and details about current federal issues and specific suggestions about what you can do to help. Click here to watch the video webinar here. Federal budget - what does it mean for bicycling, walking, and trails? What is President Trump proposing; what is likely to be the outcome? What is up with the planned Trump infrastructure package? How will it affect walking, bicycling, and trails? What can we do to prepare for it? New safety performance measures goals due at the end of August--how can we be sure walking and bicycling are covered adequately by these new goals? MacDonald County, in the far southwestern corner of Missouri, has been a leader in bringing better, safer walking, bicycling, and Complete Streets to rural Missouri. Caruthersville, MO, recently adopted a Complete Streets ordinance, becoming the 32nd Complete Streets Policy in Missouri and the first in the Missouri Bootheel area. More than 2.7 million Missourians currently live in a community with a Complete Streets policy. The latest trend in Missouri is towards adoption of Complete Streets policies in a number of rural and outstate communities around the state, including Pineville, Anderson, Warsaw, Elsberry, and others. Communities adopt Complete Streets policies to help improve safety, health, and access for their residents, but also to improve the economic vitality of their communities. With the Complete Streets approach to roads and streets becoming more common across the U.S., communities that lack Complete Streets policies lose out on grant and business opportunities. People want to live, and businesses want to locate, in places where outdoor recreation and and basic transportation by bicycling and walking is available, safe, and convenient. Adopting a Complete Streets policy is one of the most important steps a community can take to ensure that those facilities and that access are in place in their community. In Tuesday's municipal electios across Missouri, the city of Ozark in southwest Missouri is another community that found that including sidewalks, trails, and greenways in the city's capital improvements tax proposal helps build voter support. Under the leadership of Mayor Rock Gardner and City Administrator Steve Childers, the city's 3/8 cent transportation sales tax proposal included specific sidewalk and greenway trail improvements. The measure passed on April 4th by an overwhelming margin--69% to 30%. • It would generate an estimated $5.5 million in revenue and draw about $19.5 million from federal and state funds. • If you spend $100 a week, the tax would draw 38 cents a week, $1.36 a month and $19.50 a year. • It would pay for sidewalk improvements and additions on South Street. • Improve intersections at state Route NN and highway 14 and Business 65 and South Street. Both streets will see lane additions funded by the Missouri Department of Transportation. MoDOT pays for the new lanes, but the city pays for the new intersections. • It would help pay for sidewalk and greenway trail projects through out the city. • It would aid Ozark Special Road District in paying for a new Riverside Bridge. Cycling legend Steve Tilford of Topeka KS has passed away as the result of an automobile collision. Steve was a fixture of the bicycle racing scene in Kansas, Missouri, and across the U.S. He was an accomplished public speaker and spokesperson for the bicycling community, ran one of the most popular bicycle racing blogs/websites about his experiences riding and racing, and was still actively racing at age 57. Steve and his friend Vincent Davis were driving on I-70 west of Grand Junction CO just after midnight when they struck an overturned semi truck, and then another semi truck them. Steve and Vincent were on the way home from a training camp in San Diego. Several bills have been introduced in the 2017 Missouri legislature that will, if passed, dramatically affect our Missouri State Parks system. Our primary concern is HB 698. If passed, HB 698 could derail progress on Rock Island Trail State Park. Bicycle & Pedestrian Day at the Capitol is Monday, April 10th, 2017. HB 698 is just one of the bills that we will be discussing with legislators this year. Please plan to join us April 10th and help educate or legislators on these important issues! Howard Coeyman Cummins of Lee’s Summit, Missouri passed away February 9th, 2017. Mr. Cummins was born September 17, 1924 in Nutley, New Jersey. Mr. Cummins was a veteran of WWII having proudly served his country in the Army Air Corps. He was a member of the 413th Fighter Squadron, 414th Fighter Group, 7th Fighter Command stationed on Iwo Jima at cessation of hostilities. Howard held a Master’s Degree in education, and retired from the Smithville public schools system. Mr. Cummins was an avid cyclist and a founding member of the Kansas City Bicycle Club. He was a member of the Austin Healey Club of America and a long time participant in the Meals on Wheels program. This year we have been working with the Missouri Rock Island Trail, Inc., and other partners across the state on several issues related to the Rock Island Trail. One bill dealt with property taxes related to rail trails in Missouri, another dealt with fencing along the Rock Island Trail. The latest, HB 698, is putting the brakes on State Park expansion until maintenance on all current state parks is up to date. In all cases so far, we have been able to successfully advocate for the Rock Island Trail and for solutions that will be beneficial to trail users, the forthcoming state park, and adjoining landowners. But it is also so helpful if our legislators know that there is widespread popular support for the Rock Island Trail. Will you spend 5 minutes contacting your own state legislators and Governor Greitens, to let them know you support the trail? Springfield and St. Louis have both recently applied to renew and upgrade their Bicycle Friendly Community rating. Do you have thoughts or feedback about how bicycle friendly St. Louis and/or Springfield are, or should be? Any thoughts about improvements in bicycle friendliness they have made in recent years, or should make in the future? Missouri now has 40 recognized bicycle friendly communities, businesses, and universities, and number that grows each year. However, we are still looking for our first Gold Level Bicycle Friendly Community. Find out more about Bicycle Friendly Communities across Missouri--and how your community can get started with the Bicycle Friendly Community program--and our Bicycle Friendly Missouri page. Because all state funding for Missouri's transportation program is tied to the state fuel tax--last raised in the early 1990s--Missouri has been struggling to find some solutions to its current transportation funding pinch. 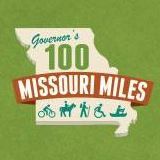 Although Missouri has no dedicated state funding for walking and bicycling, and less than $1 million annually for transit--compared with hundreds of millions to billions annually by our peer states--state leadership and MoDOT are currently focused solely on plugging the hole in state highway funding. We believe that Missouri's dramatic underinvestment in transit, walking, and bicycling harms the ability of our communities, large and small, to compete in today's global marketplace. We must include funding for transit, walking, and walking as part of any transportation funding solution--yet not one solution introduced this year does so. Below is a summary of all transportation funding proposals currently in play in the Missouri House and Senate.